عندما تزور كوينز تاون, ستشعر أنك في بيتك في فندق ذا ريز آند لاكشري أبارتمنتس الذي يقدم لك إقامة متميزة و خدمات عظيمة. إن موقع الفندق الاستراتيجي، الذي يبعد 1.5 Km فقط عن مركز المدينة، يسمح للنزلاء بالوصول سريعاً وبسهولة إلى العديد من الوجهات المحلية المثيرة. يضفي محيط الفندق اللطيف وقربه من The Ivy Box, ملعب جولف مرتفعات كلفن, رحلات سفاري نهر دارت سحراً خاصاً على هذا الفندق. إن فندق ذا ريز آند لاكشري أبارتمنتس حريص على توفير الراحة للنزلاء، فلا يوفر الموظفون جهداً في تقديم أفضل الخدمات وضمان حسن الاستقبال. يقدم هذا الفندق العديد من الخدمات الكفيلة بإرضاء أكثر الضيوف تطلباً. استمتع بوسائل الراحة الراقية في الغرف أثناء إقامتك هنا. بعض الغرف تتضمن تلفزيون بشاشة مسطحة, حمام إضافي, مرحاض إضافي, مدفأة, صوفا لمساعدتك على استعادة طاقتك بعد يوم طويل. كما أن مجموعة الخدمات الواسعة الموجودة في الفندق لضمان راحتك تترك لك الكثير من الخيارات لقضاء وقتك أثناء فترة إقامتك. استمتع بخدمات لا يعلى عليها وعنوان ذو اعتبار في فندق ذا ريز آند لاكشري أبارتمنتس . مكان الإقامة عبارة عن فيلا من طابقين وتقع منطقة الصالة الرئيسية في الطابق العلوي. The hotel was lovely. Great view over lake. All services were excellent. Room lacked storage space for 2 people. Hotel could of done with some outside sitting area. The restaurant was very nice but at this level of hotel mobile phones should be banned as that element spoilt our evening meal. This property really can't be faulted, nothing is too much hassle. Great location on the lake, perfect to sit on your balcony watching the sunset. 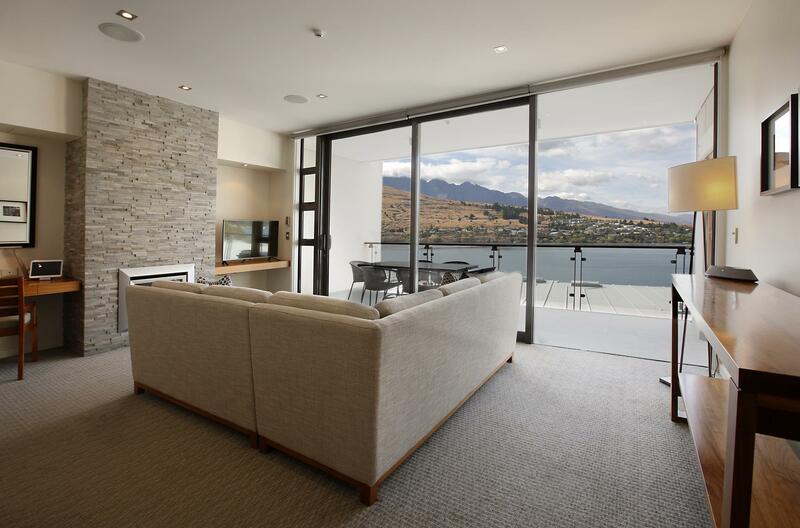 Perfectly located to drive in and out without the hassle of Queenstown traffic. Shuttle bus to and from the town centre makes access super easy and no need to compete for car parks in town either. Cant rave enough about this place. Love it love it love it. Stayed in a 3 bedroom apartment facing the lake on the 7th floor (lobby level). The view was magnificent, no blockage to the lake and snowy mountain behind it. Even though the rooms are not too big, but everything else make up for it. Cleanliess, washer dryer is working well. Half bathroom in the unit also is life saver for little kids who cannot hold their pee while the adults are hogging the bathroom for a nice warm shower. Staff was super helpful with luggage and any questions we have. They also helped me mail a postcard to home. We also ate at their fancy restaurant, and the servers are super friendly and nice and accommodating and patient to our group of 16ppl with 5 young kids (the hoo haa). Butttt have to say... their food is super duper whooper slow.... I think at the earliest our dish came about 45min after we ordered and the latest an hour and 15min, EVEN THE FRESH OYSTERSSS (no they were not served first). Beautiful 2 Bed Exec apartment, excellent layout, amazing views. Restaurant was closed for renovation but great food still available, or we'd catch the Courtesy bus into Queenstown. Gym needs a bit of an overhaul. Staff were excellent across the board. A five star view with spacious accommodations and fantastic amenities. A bit pricy for the area but very comfortable and high quality. Staff was great and location was excellent. The Rees was a great stay. It has a full kitchen stocked with basic amenities for you to cook with. I stayed in the two bedroom two bath apartment. The only one con I would say about this place is the shuttle service. My family and I and another couple had waited for 30 minutes in town for a shuttle pick up and nobody showed up. This was a time that the shuttle should’ve shown up without booking. I called the hotel many times and the line was busy and one of the girls who picked up argued and said that the shuttle came when it clearly didn’t as I was there early. They sent a shuttle later to pick us up. Other than that little mishap it was a great stay. I would suggest double checking someone will be there to pick you up at “off” hours. I happened to be waiting for a 2pm pick up. We booked two bedroom type to stay for one night. The decoration of the hotel is beautiful. The facilities are great also staffs are attentive and very friendly. Good value of money. This hotel is beyond perfection.. i have come to visit south island of new zealand for it is well known for its beauty..and this hotel shows this new zealand reputation.. the view from our room was beautiful , facing the lake and snowy mountains.. and all the staff were friendly and helping me with everything needed.. and guess what? Even all the staff (woman 😅) were all beautiful and made me hard to concentrate when they were checking me in and out and explaining things about my room.. thus, when you come to queenstown, do stay at this hotel to see and experience the beauty of southern island of new zealand, both the nature and the people.. There's no doubt that The Rees hotel is on the top of my list 'Favorite Hotels' in the world. Every guest can enjoy the calendar-like scenery; the hotel is located on a hill to overlook the peaceful lake. Also, we decided to have our breakfast and dinner a few times in the hotel restauarnt where you could enjoy the beautiful lakeview (and sunrise during breakfast time); also the restaurant is just like your dining room with family atmosphere. The ingredients, oysters and etc are out of the world! 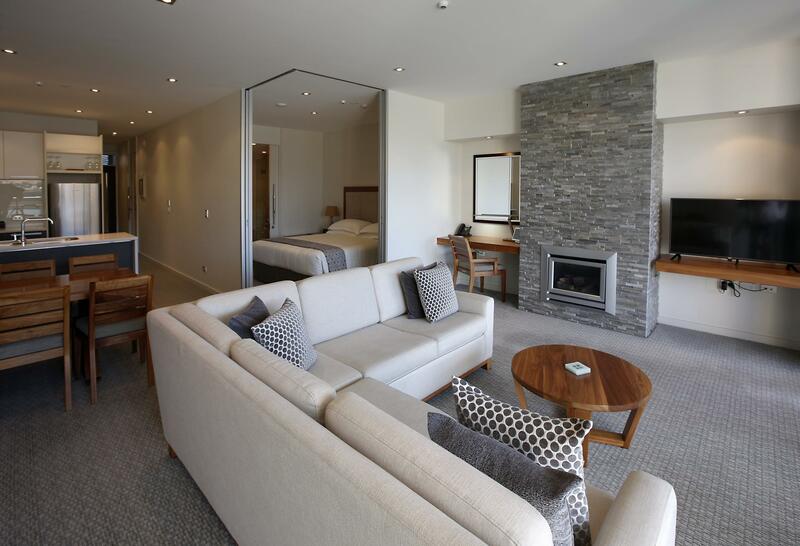 I hope to visit Queenstown and stay at the same hotel in the near future. Generally a wonderful hotel with splendid location. The room was perfectly adequate and well equipped for a vacation stay. Pre-stay follow up by concierge on different aspects of planning was excellent. Overall, I would recommend this hotel, though didn't spend much time there thanks to all the activities in the town. The rate I paid was a bit high for what I got, but generally pretty happy. 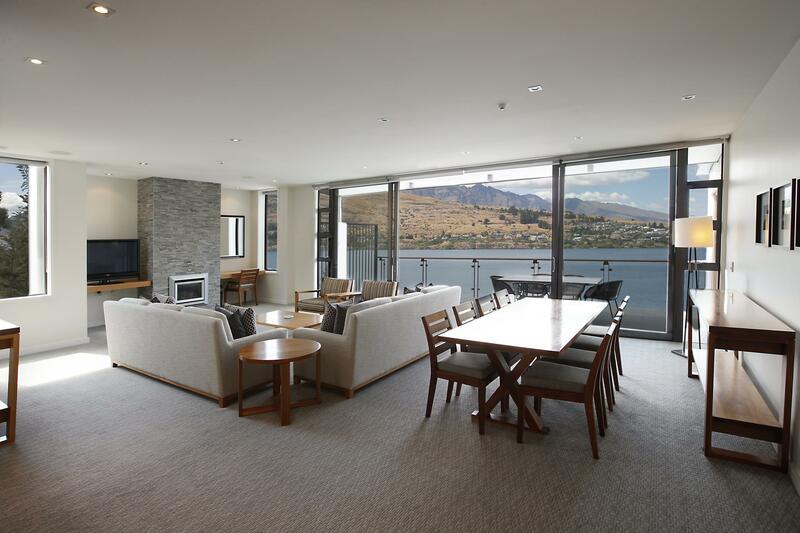 great hotel to stay at queenstown. we were on a road trip and stayed here for 3 days. the apartment room is kept in a very high standard. all room applicants were in good condition except for the dish washing machine, which had a bit of water leakage, not a problem for me. over all, great staying experience and will definitely come back again if ever visit queenstown in the future. This is my first time to gueenstown and my boy friend picked this hotel . We stayed for 3 nights. Awesome view from hotel room. Very friendly and helpful staffs, great service. Only 5-10 mins drive to town centre. Easily access to good tourist spots. My boy friend and me both enjoyed the stay very much and definitely will visit this hotel again. The view from our room was beyond belief with outstanding customer service to match. Restaurant was also of a good standard. The location wasn't the most convenient but the free shuttle bus made up for it. We had an excellent stay at the Rees. We were three adults and two kids ages 7 and 9. 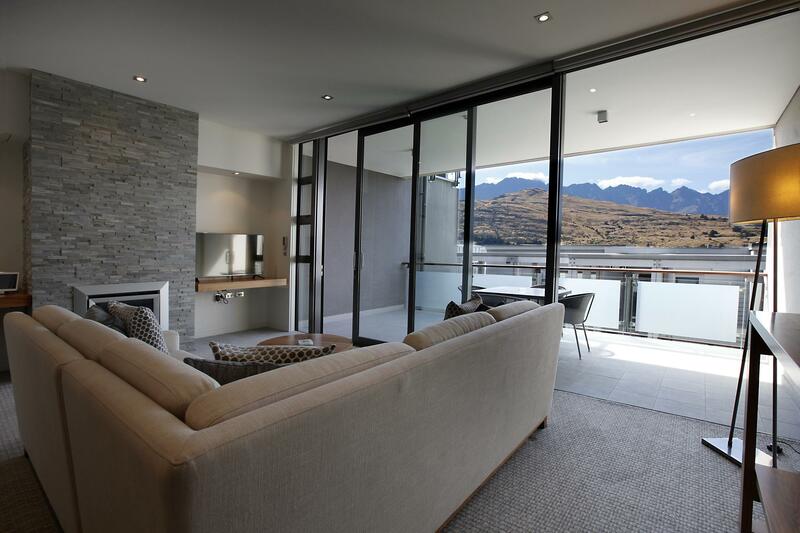 We had a beautiful view of the Remarkables from our three bedroom apartment. 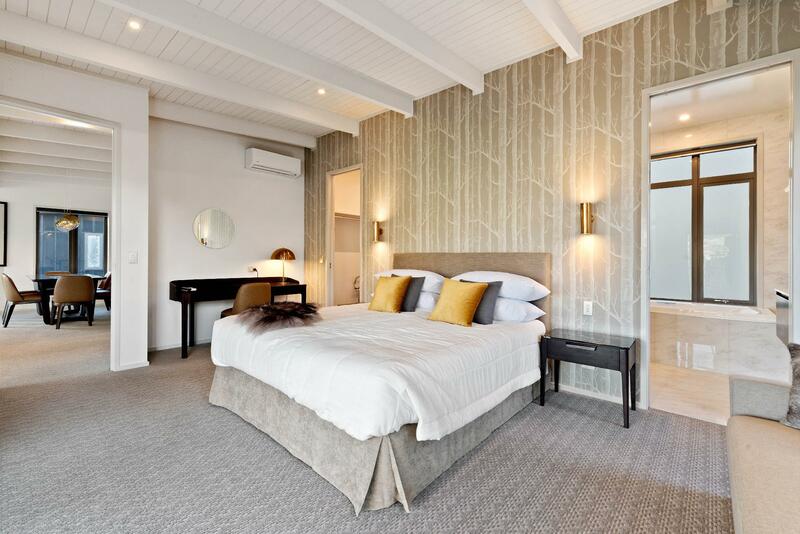 The facilities were clean and simple with a full functioning kitchen and washer/drier; a free shuttle in and out of Queenstown (5 min ride); free parking at the hotel for our rental car; full hotel services if needed, and a gym. We had three nights and two very full days of activities for the entire family and loved every minute! Service was excellent. We’ll be back! Spent two nights in lake view room. Room was comfortable, with good facilities and a lovely balcony with view on the lake. Carpark is convenient. Walk to the town by the lake is 45mins, but hotel provides free regular shuttles which we used. Staff is friendly, someone helped us to offload our luggages from the car, which was helpful. Would recommend this hotel. love the location coz I dont want it to be too close to the town.. more secluded and hv magnificent view. the concierge Matt is amazing when helping us with our itineraries and we get to pay when we are about to check out. improvement tips: 1. provide bottled water daily. for the price we are paying, i think it wont hurt to provide the guests with water. even budget hotels do that nowadays. the rest are perfect!!! The staff was extremely friendly and helpful. The room was spotless and bed very comfy. Shuttle into Queenstown made everything convenient. Need public transportation?.....The bus stop was in front of the Rees. Nice . N location it’s good !